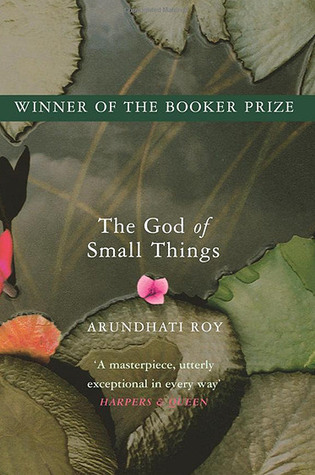 Arundhati Roy's 1997 debut novel, The God of Small Things, was a worldwide sensation, and deservedly so. Wildly inventive and fresh, the novel went on to win the Booker Prize and establish her as one of the brightest of a new wave of Indian authors. 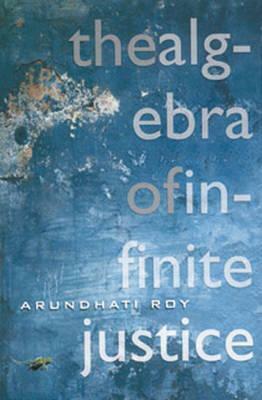 But Roy became something of an iconoclastic, even controversial, figure at home in the following years, publishing a series of biting critiques of governmental abuse and global capitalism in works such as The End of Imagination, The Algebra of Infinite Justice, and Walking with the Comrades. This month her long-awaited second novel, The Ministry of Utmost Happiness, arrives—a kaleidoscopic vision of modern India written with her characteristic verve and righteous fury. A bigger, denser book, the novel sweeps from the crumbling quarters of Old Delhi to the war zones of Kashmir, populated by an elaborate cast of outsiders, including the transgendered Hijra Anjum, doyenne of a graveyard guesthouse; Musa, a Kashmiri militant who rendezvous with his lover in an assortment of safehouses (and houseboats) even after his assassination; and a baby abandoned in the streets of Delhi dubbed "Miss Jebeen the Second." Goodreads contributor Andy Tepper caught up with Roy by phone about the long gestation of the new book, her different writing "selves," and the poetry at the heart of The Ministry of Utmost Happiness. Goodreads: Thank you so much for talking to us. Are you bracing yourself for another media crush or are you used to it all by now? Arundhati Roy: No, no, no, I'm not going to do endless media this time! There's just going to be a few speaking events, but that's mostly it. At the time The God of Small Things came out, there was much less internet, so I did a lot of interviews. But I don't think it will be so bad. Whatever it is, I've done harder stuff before! GR: The God of Small Things caught the attention of readers in a remarkable way. You then shifted your energies to polemical essays and activism. This novel clearly melds your political passion and fictional imagination. Would you agree? AR: Well, you know, that was true of The God of Small Things as well. In fact, at the time when it came out, I had criminal cases filed against me. The Left was very angry with me because of this whole issue of caste and the Left and my critique of it. I'm sure these sort of conversations translate here, too—to race and how the Left has not been able to look at it. But that's the sort of writer I am, whether it's The God of Small Things or this new book. I mean, to dodge these issues while writing fiction would require complicated yoga positions to pretend it weren't happening. It's like trying to write a novel in apartheid South Africa without mentioning apartheid! 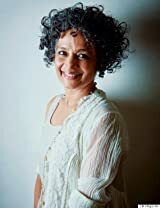 GR: The Ministry of Utmost Happiness deals squarely with two of the most troubling issues of the past decades in India: the rise of the Hindu Right and the ongoing wars in Kashmir. AR: Yes as well as the violence in Central India, in the forests, with the Maoist guerillas. As well as caste, the whole issue of how caste continues to be such a terrible practice there. GR: And you also take on gender and sexuality, with the stories of the Hijras of Delhi. I love how you describe their own internal "Indo-Pak" warring factions of identity. AR: But it's also true that the idea of that "Indo-Pak" division is in all the characters: There's "Saddam," with his caste and religious conversions; Musa, who has national borders running through him; and others. A lot of characters have this "Indo-Pak" split in all kinds of ways. GR: Several Goodreads fans—including V.J., Harriet, Mike, and Irene—have asked about the fluid structure of your books. How did you decide to weave together the various stories in The Ministry of Utmost Happiness? Was it an organic process or something more plotted? AR: I don't think it's planned, and it's not entirely organic either. I lived with this novel for ten years, so it's almost like you keep staring at these dots and after a long time they suddenly become a coherent picture. It's the kind of story that took me a long time to write, and it might take readers a long time to read as well. I mean, every time you read it you can uncover other layers. And that's something that's very important to me: the idea that a story isn't just something you consume in a second and think you know it. But, yes, just as in The God of Small Things, the first chapter of this novel, the beginning, is not where I started writing. Threads just appear and you start following them, and then you go backwards and forwards. GR: Another reader, Robert, wants to know whether there was a particular event that inspired your new novel or did it grow out of a culmination of things? AR: Well, I think over the past 20 years—as I suppose people know from my nonfiction—I've had occasion to go places in India that many people wouldn't normally go. Obviously all of that experience was accumulating in me. But it was only about ten years ago that it began to coalesce into fiction. It's not as if one thing happens and you suddenly have a novel! No, but something does happen, and your mind starts worrying it. I think the first sort of image I wrote down was about being on the streets of Delhi at, like, two in the morning with all these various protest groups when suddenly this baby appeared—and nobody knew what to do with it! AR: Yeah, Delhi is very much a character. That was one of the scenes that I was also very interested in experimenting with. I wanted to write a story where the backdrop becomes a character and the character becomes the backdrop. I didn't want to do this thing where there are just a few characters and then there is this political narrative behind it, you know? GR: Goodreads member Ruben is curious what you think are the most important changes India has undergone in the 20 years since The God of Small Things appeared, while Nandan wants to know how you have changed as a writer since then. The big changes in India, I suppose, are there in the book, but do you think your approach as a writer has changed? AR: Over 20 years the main thing that I'd say is that there's a big difference in my writing self—and even my physical self—when I'm writing fiction and when I'm writing nonfiction. The essays are always a very urgent intervention in a situation in India. I'm just pacing around, and I can't sit down, and there's a lot of heated discussion. Fiction is the absolute opposite—it's done in complete solitude and calm, without any hurry. There's a whole element of experimentation, a whimsicalness to it. It's like dancing rather than fighting! And, of course, I've changed: I didn't want to write The God of Small Things, the Sequel. 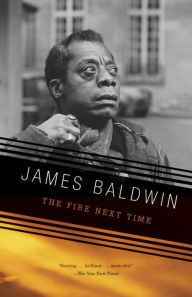 I think anybody who reads this book will see that it's a book you couldn't have written with a contract or an advance. I wanted to be free to say, "Oh, it didn't work" if I wasn't happy with it. It takes some risks. GR: Did it change form over the years as you were working on it? Or did you know early on what you wanted to do? AR: No, you always feel your way through it. It's not that I had a story to tell and I was searching for a way to tell it. Not at all! The language, the structure, the narrative are all so intuitive. So certainly I was surprising myself all the time. GR: Goodreads member Roisin is curious about whether you think your fiction and nonfiction have different impacts on the world. AR: When I write fiction, I don't think about that. When I write nonfiction, I surely do. It's like a blade cutting through something. But when I write fiction, it's not necessarily about information or impact. I'm not seeking any immediate gratification or trying to change anyone's opinion. It's just the thing itself: It's like a prayer. It's like trying to construct a world—what impact it has is a separate matter, and not for me to say either. GR: Do you have a regular writing routine? How were you able to squeeze in the time and space to write this novel? AR: I didn't need to squeeze it in; it's my life! Initially it was more like letting the work smoke, letting it breathe. Then towards the end it became more a question of giving it shape and form. It couldn't have been done any faster or slower; it had its own rhythm. Towards the end it becomes an obsession, night and day—you almost burn down the house because you forget things are on the stove! I don't believe writing is only the physical act of sitting at a desk. For me, wherever I was, I was writing; it was constantly being polished in my mind. I feel like for ten years I've been inside this book. Even so much of the journeys I took into the forests in my nonfiction I knew would somehow become part of the fiction. That's the ultimate thing for me: Everything is placed at the altar of fiction. 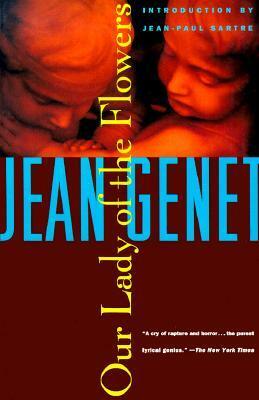 AR: Yes, and Jean Genet. And I remember reading Osip Mandelstam while working on this book. 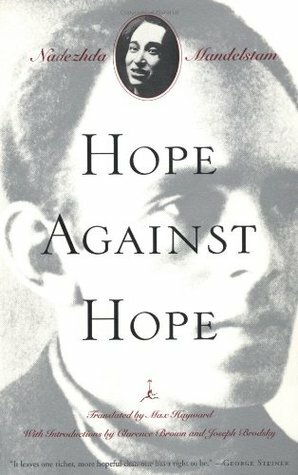 His wife Nadezhda Mandelstam's memoir Hope Against Hope is an amazing book. But when I write fiction, the idea is to experiment. Even with The God of Small Things, it wasn't just books that were influencing me. It was all kinds of things—I remember watching Kathakali dance, the way the epics were being told, and thinking, How do you move easily between tenderness and violence, fever and derangement? You know, a lot of people have said, both about The God of Small Things and this book, that it's magic realism. It's really not! It's just a different kind of realism that seems magical. But, in fact, the fevered imaginations are those of the characters, not the author. GR: I'm curious, what are you reading now? 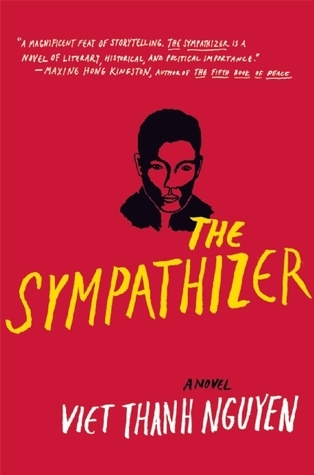 AR: Right now I'm reading The Sympathizer by Viet Thanh Nguyen. GR: I wanted to talk more about Kashmir. There's a passage in the book where someone says about Kashmir, "There's too much blood for good literature." Was it hard to write such graphic scenes of torture and violence? AR: Again, I think it would've been harder to not write it; it would've been more dishonest. But it's not just about torture and death. I always knew instinctively that the truth about what happened in Kashmir can only be told in fiction. It's so complicated. It's not all about evidentiary value and human rights reports, you know? For 20 years or more now, the air has been seeded with such brutality, such nightmarishness, through these cycles of loss and renewal. So how to write about it was a challenge. It's one of those things that you need fiction to capture. GR: Through fiction you're also able to explore and play with several recurring images. One of which is cemeteries, including the one that becomes a refuge for Anjum and her community of outcasts. AR: Yes, I don't know how they all just made their way into the book and ended up becoming the book in some way, too. Also, in a place like Kashmir you're so aware of the dead walking among the living. Suddenly it becomes a very osmotic and porous border. I suppose in so many ways, as the inevitability of what is going on pushes so many of us into marginal spaces, still we refuse to just lie down and die! GR: You also expose the dangers of the Hindu nationalists and mock their "saffron parakeetspeak." The Gujarat riots of 2002 are central to one of the novel's plotlines. AR: It's of course the great irony that India is a land of massacres. Every now and then you have these massacres that take place right in front of your eyes in metropolitan cities, and then life goes on. It does seem as though blood looks very good on politicians' CVs. In fact, we've learned to expect massacres before elections because that's what fuels the polarization. GR: Are you expecting a fallout from the book in India? AR: Oh, I'm just going to keep quiet. India has become such a dangerous place. I mean, every day you hear stories—they're lynching Dalits, they're beating up Africans in the streets, they're flogging people. It's just become a place of vigilantes…so I don't know how to answer that question. But, you know, the book is not only a critique; it's also about such beauty, such music, such poetry. It's about love, the strangest thing of all, and all kinds of love. It would be a great pity if people didn't see that. Read more of our exclusive author interviews on our Voice page. Thank you, goodreads for the interview. Great interview, I cannot wait to read this novel. If I were the interviewer, I would ask her, "What did you do for India? and How many times did you vote in India?". This creature found 'blaming Indian culture' as an easy way to come to limelight. She could be summed up in a single word..
an alien specie with an ulterior design.. If she was really a good writer and good enough activist, she would evaluate both sides. Her last statement shows her bias and narrow mindedness. Her human right issues are one sided, her activities are one sided, her opinions are one sided and her hatred is the most poisonous. She may call herself anything and behave in any kind of self-righteousness, her betrayal of the Indian people would never be forgiven nor forgotten. India is the most unfortunate country to have such a person born on her soil. Believe it or not, Indians have been the most tolerant of such a shameful person. Any other country, specially the ones she oh so loyally defends, would have prosecuted her a long time back for the venom that she spits! I hope that people will wake up and see it for what it is! Madhava wrote: "If I were the interviewer, I would ask her, "What did you do for India? and How many times did you vote in India?". This creature found 'blaming Indian culture' as an easy way to come to limelight." There is no 'blaming Indian Culture' in this interview. She mentions politics of vigilantism. Is that Indian culture for you? No. Some very strong opinions. Now I really do want to read it. Wonderful and insightful interview from the author. Whilst not a flawless book, it is brilliant!! And with such grace and dignity. "...when I write fiction, it's not necessarily about information or impact. I'm not seeking any immediate gratification or trying to change anyone's opinion. It's just the thing itself: It's like a prayer. It's like trying to construct a world—what impact it has is a separate matter, and not for me to say either. " How beautiful is her thinking! Amazing interview. She seems so wise and at a peace but I also love her guts and tenacity. I loved the God of Small Things, thought it was superb, and cannot wait to read her new book! Kudos to all writers, female and male who has the guts to stand up for their own voice in fiction. Madhava wrote: "If I were the interviewer, I would ask her, "What did you do for India? and How many times did you vote in India?". This creature found 'blaming Indian culture' as an easy way to come to limelight. "- funny - by voting how you want to do something for India? it is actually done by the politicians in capitals making picnic by public money - if you protest you are damned and marked antinational- misantrhopy ! The dominant figure of writing in present day world.Has the courage and chracter.i salute her worth. Always a delight to listen to her! I read God of small things as soon as it won the prize and was disappointed.Her writing style is nothing ; I was trying to find some meaning or anything but found nothing.It was a huge book with nothing in it.I read half and became sad as it was nothing.Not worthy of a prize. The God of Small Things is one of my top 5 favorite books of all time. I am thrilled that Arundhati Roy will be coming to Los Angeles on Thursday, and that I have a ticket to her reading and discussion. I am so excited for this event and look forward to reading The Ministry of Utmost Happiness. This is a great interview. Ms. Roy is a fantastic author. I enjoyed reading the God of Small Things and look forward to reading the Ministry of Utmost Happiness. My name is Carol Vorvain and I run https://writersboon.com, a free marketplace where authors find editors, designers, book marketers happy to offer their services at discounted prices. Think of it as Groupon for the writers' community. We support arts and authors and we hope that the money you''ll save will help you continue writing. Would you be interested in promoting your books and answering a question on InBookish for the Writers Boon Blog? If so, please take a look at https://writersboon.com/inbookish. that is are not directly involved with Indian society, the writing seems eminently in keeping with what we might suppose think, is popular myth. Perhaps it would be as well for those who find these works unpalatable to explain for we others, just why. nb I also have a writer about whom I have similar feelings and issues. Apparently popular and considered genuine, authentic....I would have other words. So I think I understand. Help others to understand your views so it becomes more discursive. Thanks. Pramod wrote: "She could be summed up in a single word..
an alien specie with an ulterior design.."
.istMathew wrote: "Madhava wrote: "If I were the interviewer, I would ask her, "What did you do for India? and How many times did you vote in India?". This creature found 'blaming Indian culture' as an easy way to co..."
Urenna wrote: "This is a great interview. Ms. Roy is a fantastic author. 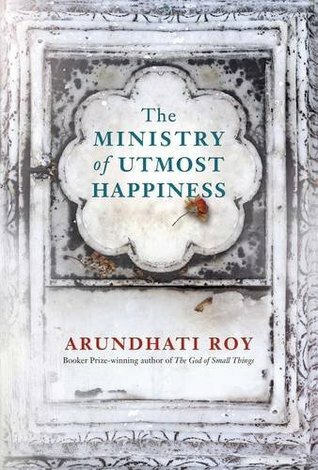 I enjoyed reading the God of Small Things and look forward to reading the Ministry of Utmost Happiness."